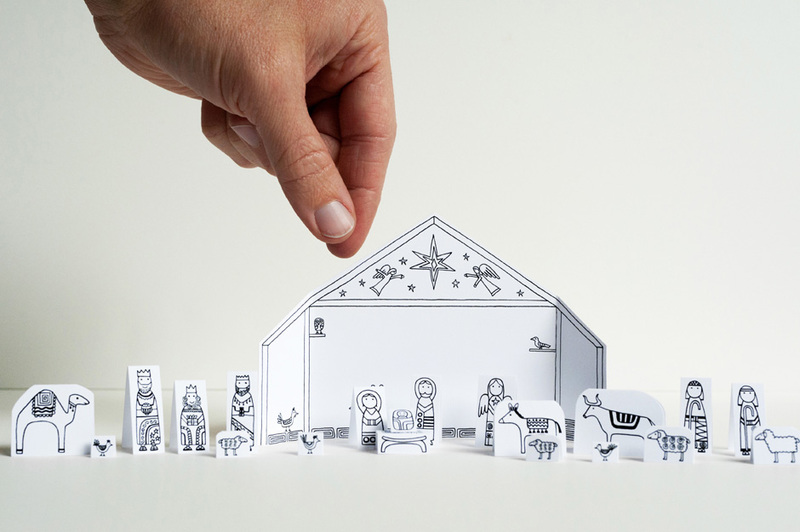 Made by Joel » Travel Size Paper City Nativity Scene! Need a holiday traveling project for the kids? 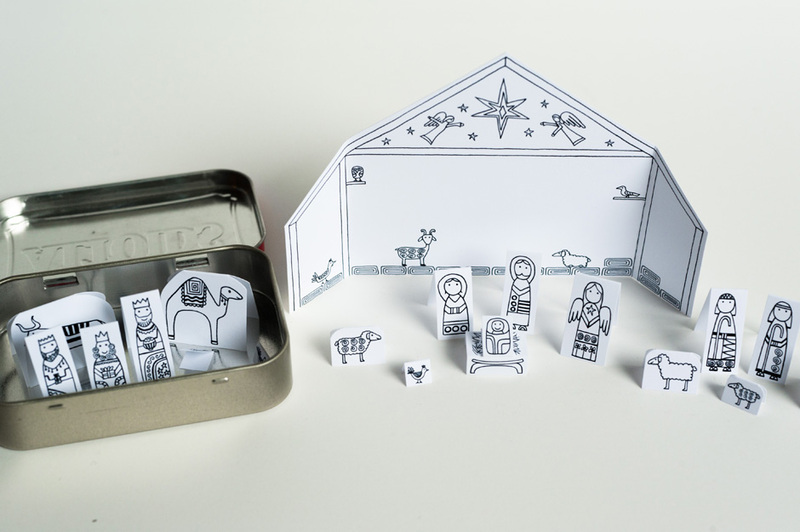 Here is a travel size Paper City Nativity Scene! The tiny pieces turned out rather cute, and it’s also quite convenient being able to print everything on one sheet of paper. Especially great for large groups of kids. 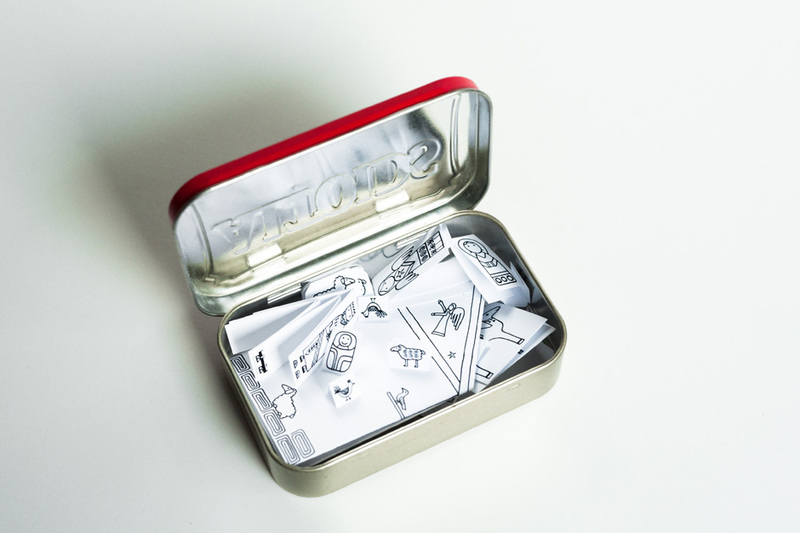 And after they’re done building it, you can stow the whole scene inside a mint tin for the road if you’d like! Thank you so much! This is perfect! It will be coming with us to Grandma's house. This is great, my kids love paper toys like this. Perfect for today's rainy weather. Thank you for sharing it! So adorable, thank you so much. Joel, Listening to DJ Doublejoint and dancing with my wife and three year old. Still listen to that Christmas CD every year. Also thanks for your sister's CD's. Take Care. Pistol Pete. Ha, awesome! Thanks Pete. Nice to hear from you! Thank you for sharing this. 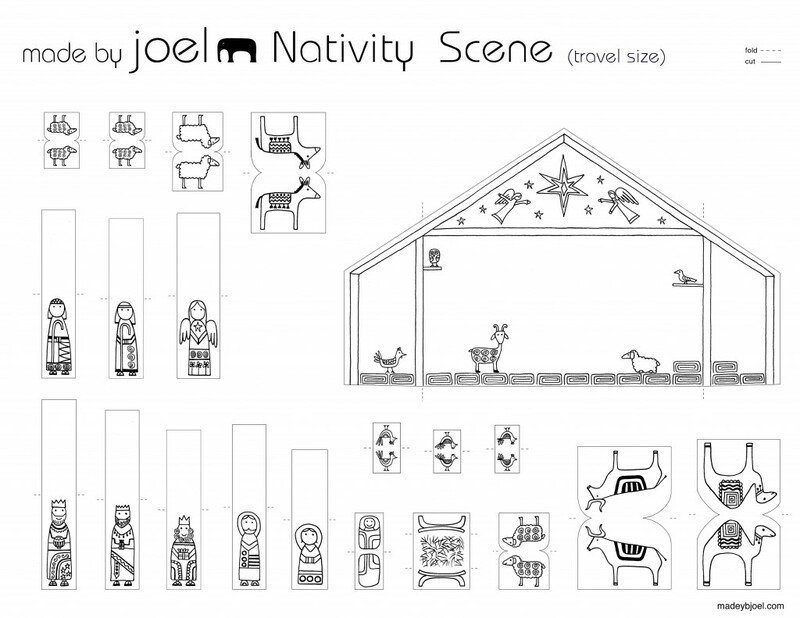 The art is very nice and I'm sure my kids will love making their own Nativity Scene. Happy Advent and Merry Christmas! Joel.... Thanks again for making special things and sharing. This is super ! Going on snow day #7 tomorrow....running out of all the Advent activities I planned and this is perfect for another iced in, snowy day !! Hi, Joel, it is exciting to have found your blog, you have so many great ideas for kids. They are beautiful, I can see your kids are thrilled with all the toys you design, made for them, and most of all, you play with them. It is a blessing that you have twin babies that they can play and grow together. You are a blessing to many families, parents and churches. Every month,I do craft with grade one kids to grade four kids from our church. It used to have 40 some children, now some of them grow older and promote to older grade. Now I have about 25 to 30 kids. I am so glad that your designs can help me to have fun with them. Thanks again. With blessings. 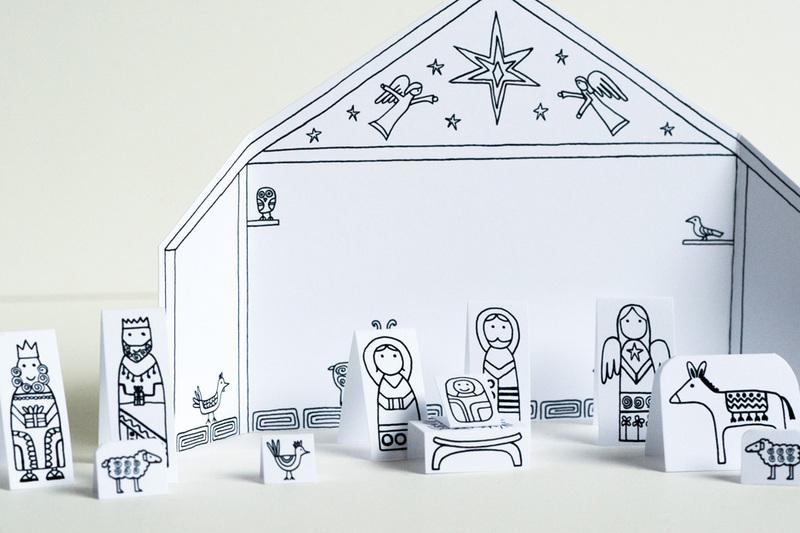 Hello, thank you very much for this adorable nativity scene. We have used it with my kids and they enjoyed it very much! Congratulations and thanks for wat you do! Sweet and cute Epiphany scene ! Thank you Joel and many blessings ! Hi Joel I just want to say, as a teacher, I love the simplicity of your work. My kids at school are going to love them! Thank you, you have definitely made our "bookmark this site" list. Thanks Robyn! Very glad you found my site. Hope you find some good projects for the kids at school! Thanks! I'm not planning on ever taking it down, so no rush. But there are lots of things to print, so ink is good! Handmade Holidays Nov. 18: Gifts for Boys | Sew Mama Sew | Outstanding sewing, quilting, and needlework tutorials since 2005.